Bask in the winter glow of the Conservatory of Flowers’ new nighttime exhibition, Night Bloom, now on view. 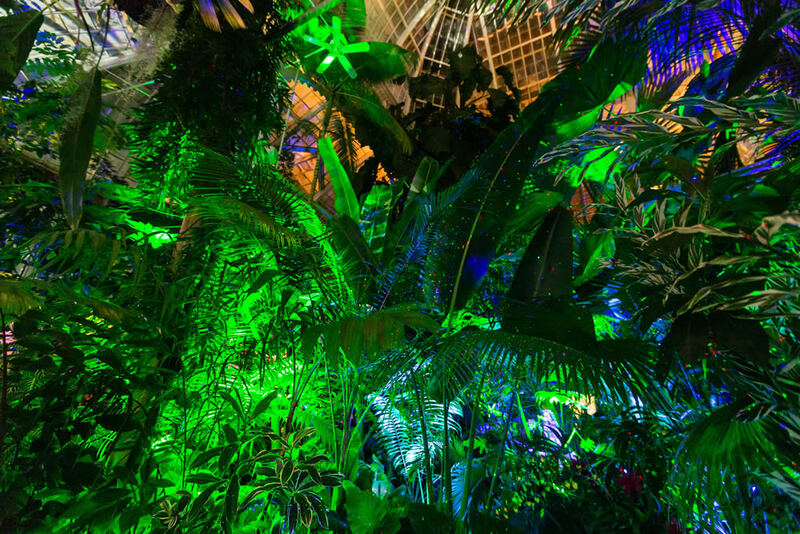 For 5 weeks only, dazzling lights and sound transforms the glasshouse into a botanical wonderland. Tickets are going fast. The perfect gift for the gardeners in your life is year-round free admission to the Conservatory, as well as special admission privileges and discounts at 300 gardens throughout North America and the Cayman Island. Learn more. This holiday season, the Conservatory is closed on December 25, and January 1, and closes at 2pm on December 24 (Last ticket sold at 1:30pm). Plan your visit here. 2019 marks 140 years of the Conservatory of Flowers. We look forward to celebrating this monumental achievement with you. Stay tuned for more details!